Don’t believe everything you read in a press release, and other odds and ends – Pamela Wood. It should go without saying that reporters need to check information in press releases. I had two examples of this recently. In one case, a press release about a political candidate turned out to be a hoax. And in another case, a press release didn’t tell the full story. I ended up helping out with coverage of Sine Die, the last day of the General Assembly. I didn’t plan to cover Sine Die, but there was a last-minute push to roll back a bill (the “rain tax” or stormwater fee) that had passed the year before. So I covered that push — which failed — and wrote a story wrapping up that and other environmental issues. This year’s Sine Die was amazingly calm compared to last year, when lawmakers adjourned without passing a proper budget. The day was filled with impromptu press conferences and partisan maneuvering. A quick iPhone photo of Gov. 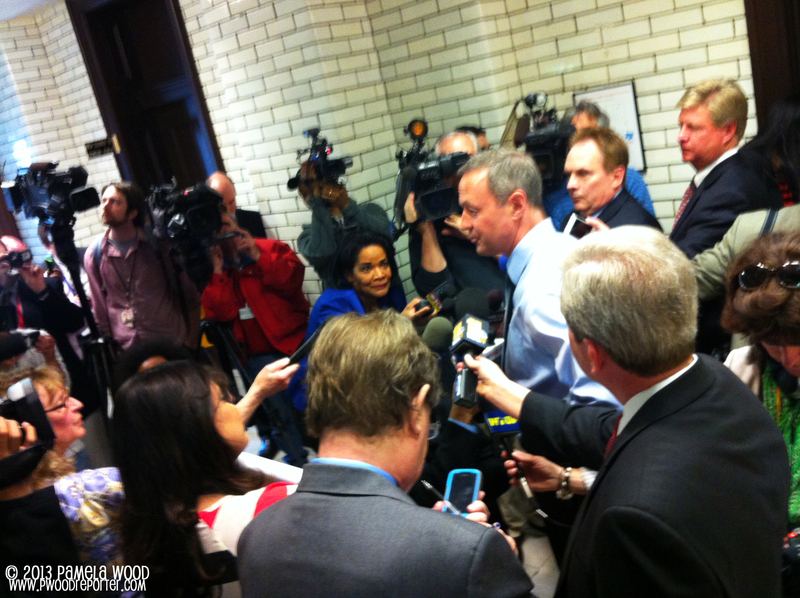 Martin O’Malley talking to reporters on Sine Die, the last day of the 90-day General Assembly session. This year, I managed to tag along with a group of staffers and lobbyists on a tour of the State House dome! Needless to say, that was pretty awesome. 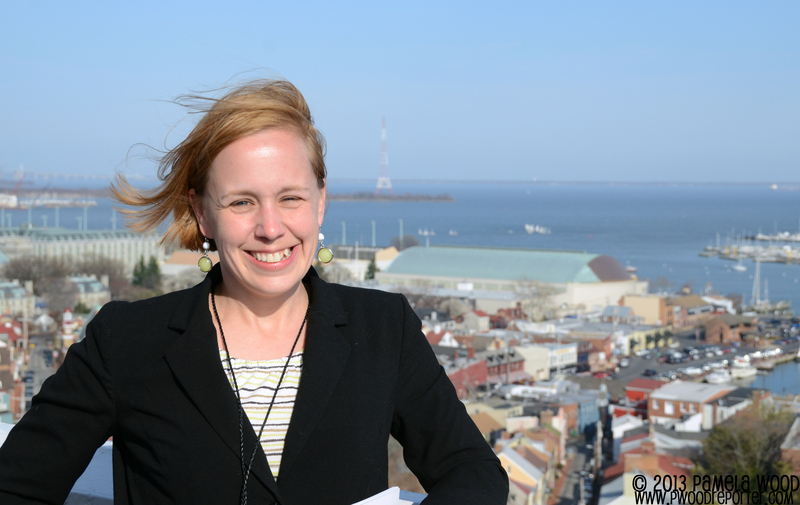 Atop the State House dome in Annapolis on Sine Die, 2013. Yes, it was windy! Thanks to Susan O’Brien for taking the photo. 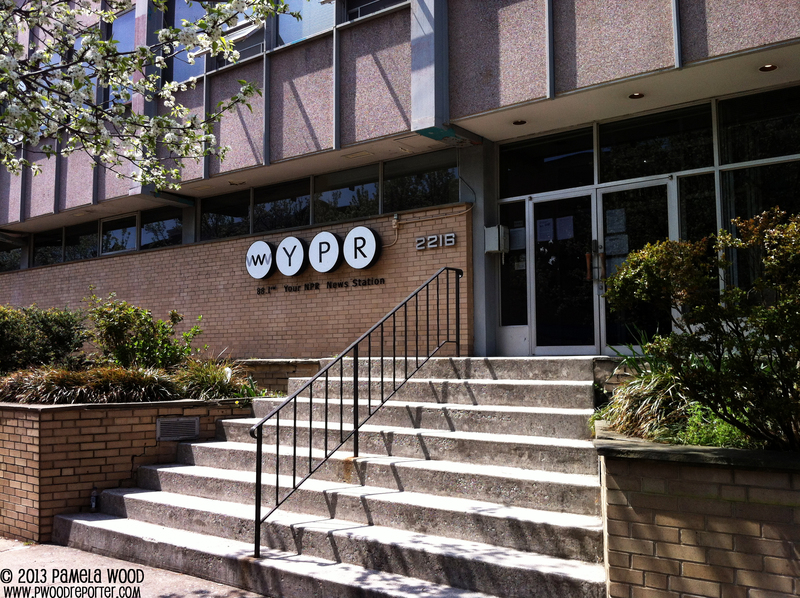 A few days after Sine Die, I appeared on WYPR radio on “Midday on the Bay” with Dan Rodricks and Rona Kobell. We talked about the environmental bills that were considered during the 90-day session. I recently left The Capital newspaper after almost exactly 10 years there, and nearly three years before that at a sister paper, the Maryland Gazette. Here’s the last bylined story I wrote for the paper, about a grant that was awarded to help rebuild Annapolis City Dock. And the last story of mine to actually appear in print (it held for several days) was about prisoners growing American chestnut trees. 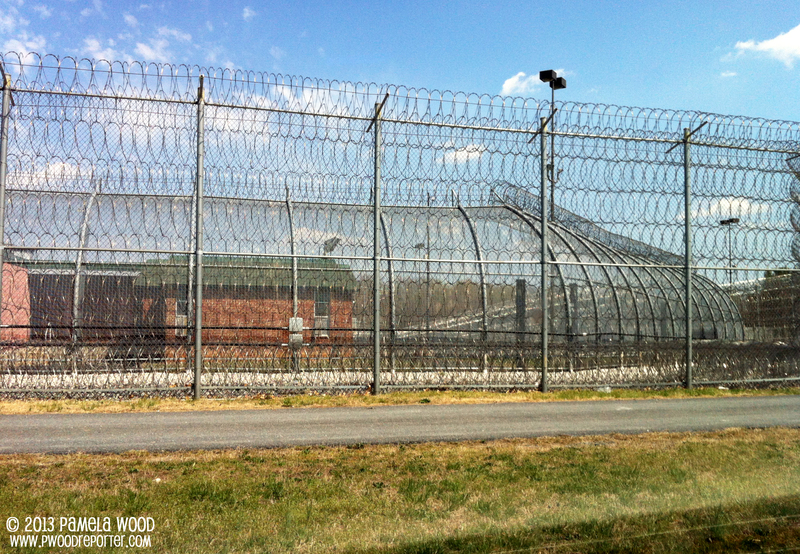 The Patuxent Institution in Jessup — I’m glad I’m on this side of the fence, and not the other side. In cleaning out my desk at The Capital, I found some interesting things. For some reason, I have a big pile of press passes and badges. I have no idea what many of them are for, but the ones issued by the White House (for covering Naval Academy graduation) are pretty cool. I’ll keep those. Here’s perhaps the most poignant thing I found. I found the first issue of the Our Bay section that was started while I was at The Capital. 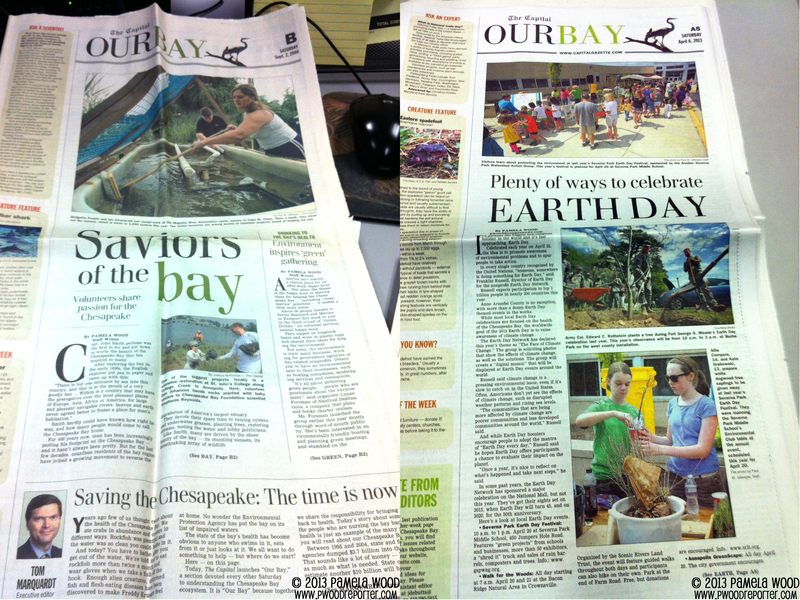 Here it is, side-by-side with the final Our Bay section from earlier this month. The first and last Our Bay sections from The Capital. I wrote for and coordinated the section from 2006 until 2013. Next postBusy. Crazy. And busy some more.